Fake social media accounts can retweet a presidential candidate, boost the perceived influence of a celebrity — or both — so is it finally time to require real names? The anonymity question has popped up again as society deals with the aftermath of Russian bots helping determine the outcome of the U.S. presidential election, and after a new report that shows how easily people can buy fake followers to make them seem more influential than they really are. 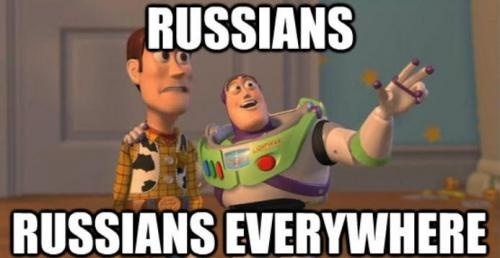 The documents released last week also showed that Russian operatives publicized more than a hundred fake events to which tens of thousands of Americans RSVP’d on Facebook. Meanwhile, a report over the weekend shed some light on how social media influence can be bought, tens of thousands of fake users at a time. The New York Times showed how a single Twitter user can pave the way for the birth of hundreds of fake bots, and how famous or semi-famous people buy fake followers, sometimes on their own or because their publicists think it’s a good idea. Amid all this, tech entrepreneur Mark Cuban is calling on Twitter to require real names, and for Facebook to enforce its policy that requires them. Cuban’s idea was slammed by people such as fellow tech entrepreneur Anil Dash. Eva Galperin, director of cybersecurity at the San Francisco-based internet advocacy group Electronic Frontier Foundation, also weighed in. A few years ago, Facebook got some high-profile criticism over how its real-names policy hurt drag queens. Advocates of anonymity also say it would be easier for governments to crack down on protesters and dissidents who rely on Twitter to organize if real identities were attached to Twitter users’ profiles. Still others point out that requiring real names may not do much to stomp out abuse anyway. For example, Twitter, Facebook and their users deal with notorious trolls or harassers all the time — and they don’t bother to hide their identities. This is an extraordinarily bad idea that would put women, victims of domestic abuse, activists, transgender people, whistleblowers, and more in danger. Using real names online does not prevent trolling and troublemaking – I've seen plenty of incredibly toxic comments on LinkedIn, Facebook, and other sites where most people use their real full names. https://uploads.disquscdn.com/images/f4d26489526649afbb3287440d9c075da576d0089ca30c1e466f3d7e20d48f6f.jpg Only the most malicious people demand an end to anonymity, because they wish to identify, harass, stalk and destroy the careers of dissent of conservatism. All becaues they lost bigly and won’t get a shot at electing their president for another 7 years.